No matter your fleet size, if you have a fleet, you need to maintain that fleet. The results of not doing so can be catastrophic – units taken out of service, safety violations, and drivers and customers angered by loads that can’t be delivered. On the flip side, maintaining a fleet, regardless if you have an in house shop or you use a vendor for your work, promises a fleet that is ready to serve your company and your customers when you need it. But, you wonder, can a software system really help you maintain that fleet? Maybe you’ve used paper or a spreadsheet for years to manage your fleet, but now your fleet and its needs are growing. Or maybe you outsource your work, but are running behind on your PMs, missing DVIR related repairs, or missing warranty recovery dollars. Or maybe you just don’t feel you have the IT structure for a complete fleet maintenance system. Reality is, there are systems in the industry that will meet your company’s needs, regardless of the nuances of your fleet. Created specifically for use with TMW’s Innovative Access Platform, TMTRx is designed for fleets with these concerns in mind. TMTRx is a SaaS based maintenance system, covering the key aspects of fleet maintenance for fleets either with or without a shop. SaaS means that it’s truly Software-as-a-Service, meaning you’ll get more than the software – consider the relief, ease of support and rapid deployment offered by a system managed and monitored by our IT professionals and the value of having that system standing ready via the web for your team. As an extra assurance, this also means that you’ll be on a safe and secure hardware platform known internationally for its stability, which means your software system will be there when you want it – not suffering from downtime of its own. What’s more is, the system helps you manage your fleet regardless if you are doing the work yourself or you outsource. That means that you can track your PMs and repairs if they are completed in house, or by an outside vendor, which in turn can assure you and your team that your equipment is safe and available for use. With the connection to Innovative Access and Access Plus, users now have the option of using a fully integrated, cloud-based fleet maintenance management system, TMTRx, with the same rock-solid IBM technology and SaaS platform utilized by Access and Access Plus customers today. The new solution from TMW Systems comes fully loaded with essential tools that can be implemented quickly, easily and affordably. TMTRx has everything carriers need to exceed maintenance regulations from the Federal Motor Carrier Safety Administration and prevent maintenance-related violations that negatively impact CSA scores. One of the most critical processes is completing and documenting repairs for defects noted in pre-trip and post-trip inspection tickets (DVIRs) collected from a variety of telematics providers. Equipment defects noted by drivers or technicians also can be entered into TMTRx for its efficient Repair Order (RO) and scheduling process. In addition, TMTRx streamlines preventive maintenance (PM) services. The system can import fuel and meter readings from fleet telematics systems and automatically notify users of PM services coming due. The end results is preventative maintenance that is done on schedule, resulting in safer, more efficient fleets without the guesswork sometimes found in traditional paper or spreadsheet monitoring and without suffering the downtime caused by missed maintenance work. The pre-built integration with Innovative Access or Access Plus gives fleet dispatchers instant visibility of PMs due and units with open or pending Repair Orders. The information enables dispatchers to effectively plan ahead and route vehicles in need of maintenance to company or vendor facilities and gives dispatch a real-time view of fleet capacity vs customer demand. 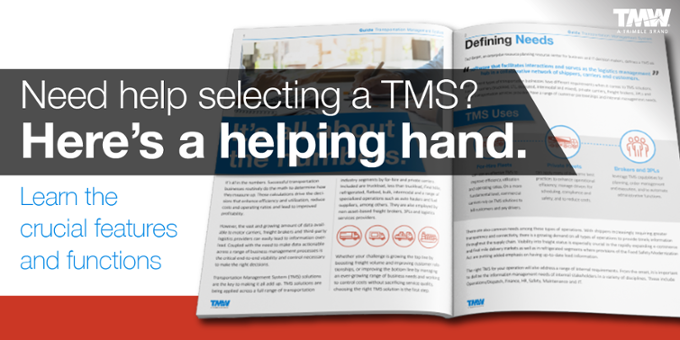 Cost savings are among the most immediate benefits that carriers can expect from TMTRx. 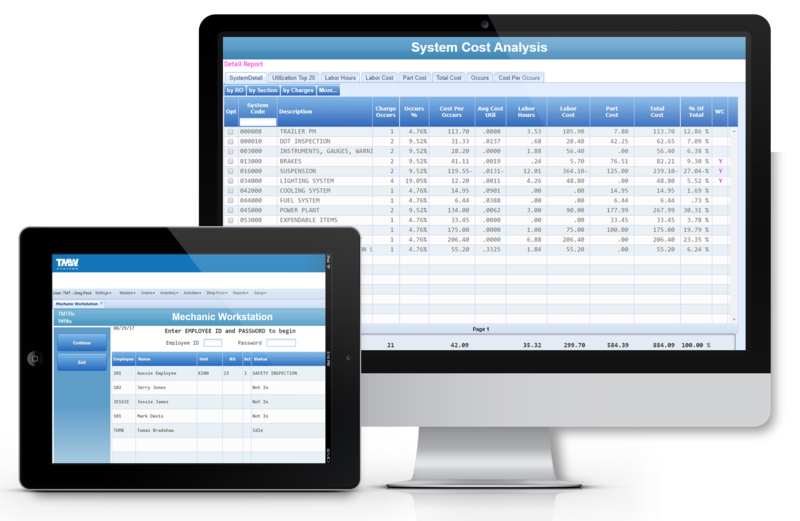 The system keeps a detailed record of fixed and variable equipment costs from insurance and licensing to ongoing maintenance costs. 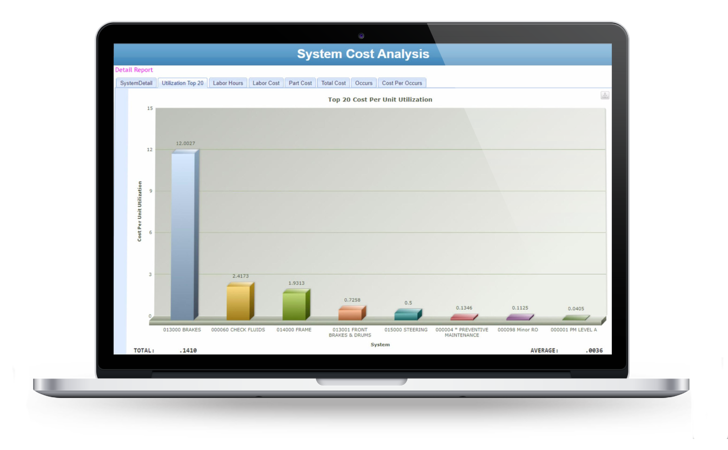 Its custom alerting and notification system enables management to enforce spending policies at the unit and component level to keep costs in line with budgets. As an example, consider a tractor nearing the end of its trade cycle. A manager could set an alert for a specific unit, or group of units, to specify that future repairs be limited to $500. If a Repair Order is created for the unit, a shop supervisor or technician would see the alert immediately when opening the RO and take appropriate actions. Parts inventory management is another valuable feature. Fleets can save time and money by tracking spending for parts and by keeping inventory accurate and up to date. For added efficiency, the system supports barcoding for receiving parts into inventory, updating item counts, and attaching parts to Repair Orders. 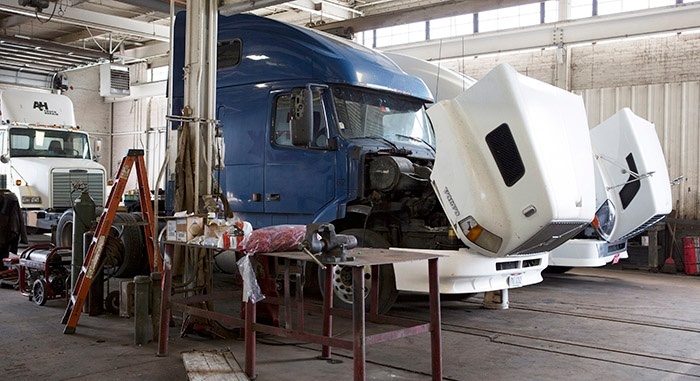 Warranty recovery can be a significant cost-savings opportunity for any fleet with the ability to monitor and collect those critical warranty dollars and warranted parts. Using TMTRx, the warranty tracking system notifies users when a part added to a Repair Order is replacing a part that is still under warranty, alerting the fleet that warranty dollars are available and even streamlining the warranty recovery process via automated warranty request forms. The same feature helps to initiate warranty recovery on parts added to ROs that are outsourced to third party vendors enabling recovery on parts installed in house and those installed outside your organization. Shop Floor Automation. This module gives fleets a paperless system to manage Repair Orders and to schedule work for technicians. When logging into the system, a shop supervisor can create ROs, view existing ones, and assign them to technicians based on priority and skillsets. On the shop floor, technicians can log into TMTRx using a tablet or computer to view pre-assigned daily worklists. The module also tracks labor applied to each Repair Order and comes with reporting to analyze labor productivity in relation to standard repair times. Road Call. This module is designed to efficiently manage breakdowns and comes with links to Repair Order and electronic payment features to complete transactions with third-party vendors. Invoicing. This module allows fleets to bill customers for work. In the event that a customer is an owner operator leased to the fleet, the invoice amount can be deducted automatically from the driver’s settlement using the integration with Innovative Access Plus. Electronic PO Payment. For efficiency and security, the system has a feature for issuing single-use virtual credit card numbers for payment of Repair Orders that are sent to vendors. The feature is available through an integration with electronic payment providers Comdata and EFS. Financial Connectivity. All of the financial and accounting data tracked by TMTRx — including equipment licensing, parts inventory, Repair Orders and more — can be exported seamlessly to assigned general ledger accounts in Innovative Access and Access Plus. Parts Integration. Two additional modules enable fleets to automatically export warranty claims and parts purchase orders directly to Navistar or Volvo. TMTRx is offered as a monthly subscription with a simple and affordable pricing model. As with Innovative Access and Access Plus, TMTRx and TMTRx Plus users pay a low, flat rate per tractor dispatched. As an example of how the pricing works, a carrier with 86 power units dispatches all 86 trucks at least once in January. The monthly subscription is determined by multiplying 86 by the flat rate. In February, the carrier sold 10 units and only dispatched 76 trucks. The monthly subscription would therefore be determined for 76 trucks and drop by over 10 percent. The unique pricing model of TMTRx aligns with each customer’s dynamic business. Its unit based pricing also offers a significant savings over competing SaaS products, especially those based on total equipment. With TMTRx, starting at a minimum of 50 units, fleets pay only for tractor count - even though they may operate three times as many trailers as tractors. The SaaS offering is purposefully designed to offer an immediate return on investment in the areas of compliance, cost controls, labor productivity, equipment uptime and more. Many of the nation’s largest and most profitable motor carriers use the Innovative Enterprise Software (IES) from TMW Systems to dispatch trucks and manage their daily business operations. The IES platform is also thriving among small and mid-size carriers through the Innovative Access and Innovative Access Plus software-as-a-service (SaaS) offerings. The only hardware investment carriers need to deploy this advanced, modern system is a PC or tablet and Internet connection. The resilient IBM i operating environment — long recognized for best-in-class power, speed and security — is an inherent advantage of the on-premises or SaaS versions of IES. This system requires integration to Innovative Access or Access Plus. If your company operates other TMS systems, or has other hardware requirements, we have solutions for you as well. For more information regarding TMTRx or other fleet maintenance solutions from TMW Systems or information on the Innovative Access and Access Plus platforms, contact us today.